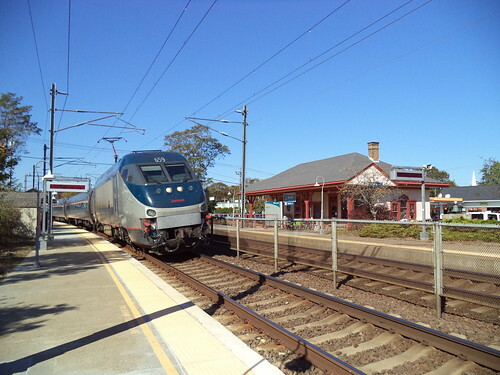 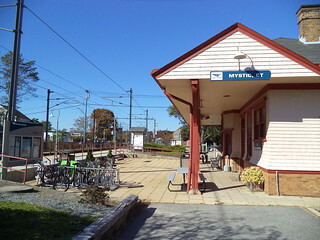 Our train arrives at Mystic. 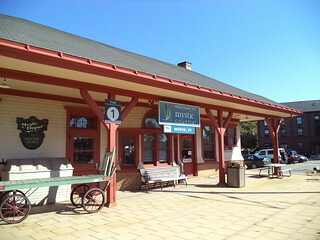 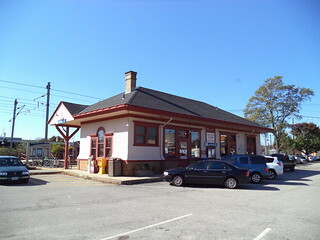 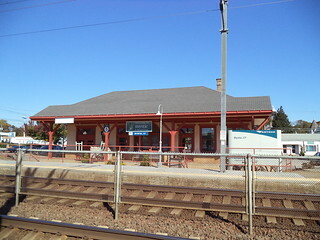 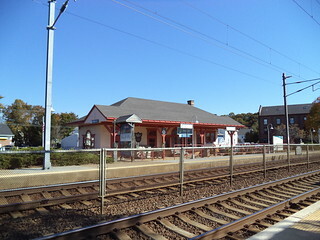 The street side of the station building, which is now used as a visitors center. 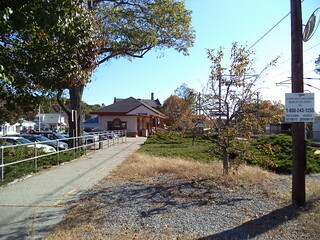 Notice the yellow line on the sidewalk. 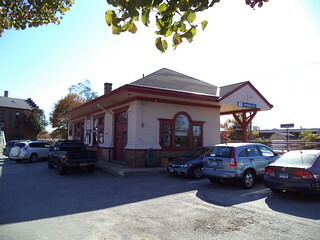 Apparently this was once a platform and the tracks were much closer to the station.